Library Assistants using Google Translate to understand immigrants’ needs and connect them to resources. Police officers reading to preschoolers during a storytime event. Municipal Guards leading activities for children who are done with their homework, sometimes bringing in art supplies and musical instruments to teach new skills. Patrons coordinating Black History Month gatherings by bringing in personal historical memorabilia to display and discuss with their community. Digital Resource Specialists helping people write resumes and find jobs, and then keeping in touch about successes through email lists. To address this shift, the Free Library of Philadelphia is launching a series of four workshops that concentrate on skills that come from leadership development and community organizing. The workshops will address communication styles, team dynamics, active listening, building and sustaining partnerships, facilitating inclusive discussions, planning programs for diverse audiences, and strategically thinking about the future of neighborhoods and the library’s role. Recent and current trends at the Free Library and nationally are informing the development of a library-focused curriculum that introduces and amplifies these skills. Our curriculum developers from language connectED have researched urban and rural library experiences, as well as reading national reports and surveys. They have spoken with library leaders around the country and interviewed Free Library staff members of all job classes, to ensure that each workshop speaks to the needs of neighborhood libraries and continues the Free Library’s evolution of services. Over the past few years, the Free Library has also taken steps to develop deeper ties to communities. Our cluster model decentralizes reporting structures and fosters collaboration and resource sharing. Community Councils within each cluster respond to local needs. Administrators have attended trainings to learn the foundations of community engagement. Starting in October, the Skills for Community-Centered Libraries Initiative will train staff members who are interested in learning more. These upcoming four workshops will promote discussion in the library community about what has been working and what could be better. The training and associated project that participants will undertake afterward are opportunities to learn and practice new ways to serve and communicate. 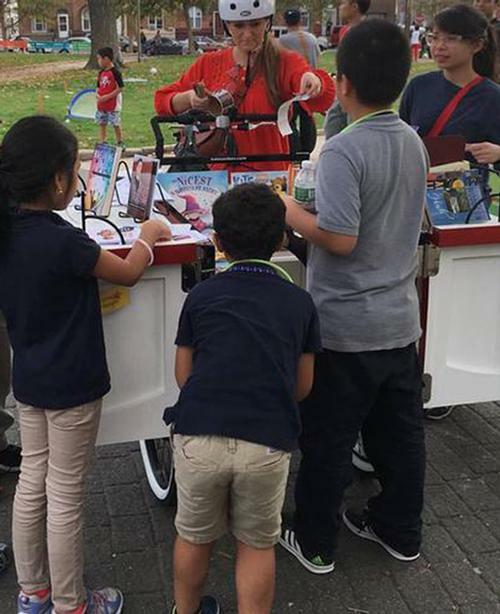 Through this initiative, library staff can gain confidence in community engagement efforts, discover and leverage strengths, and practice inclusive communication. For more information, contact CommunityCentered@freelibrary.org. I am currently at the West Philly Haverford location, but will start in South Philly at Thomas Donatucci Library on 062518. I am a musician and would be interested in working with children who are interested in the guitar. Aundrey, The registration for the training series will be emailed to staff on June 20. We look forward to your participation!